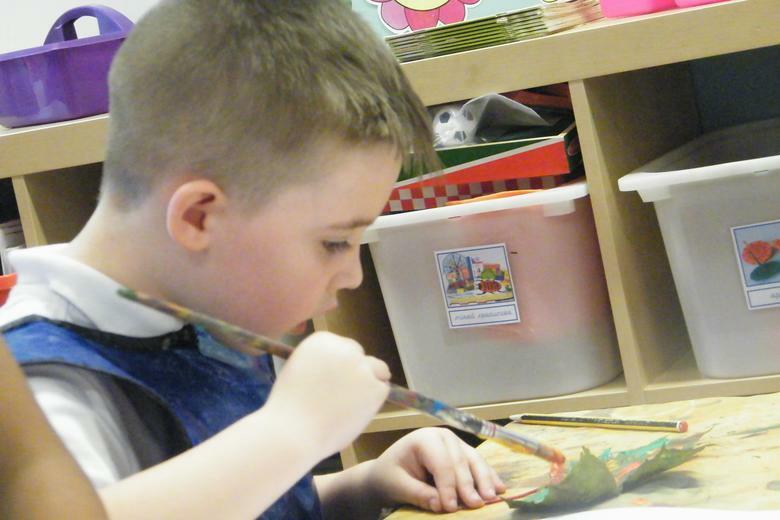 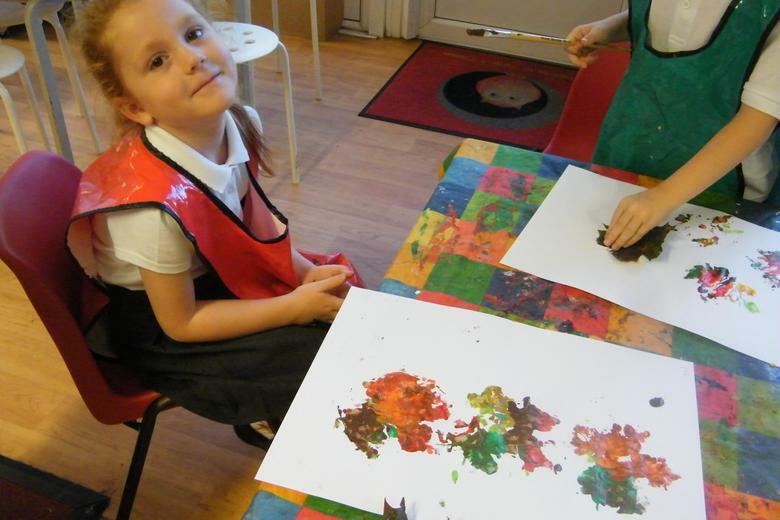 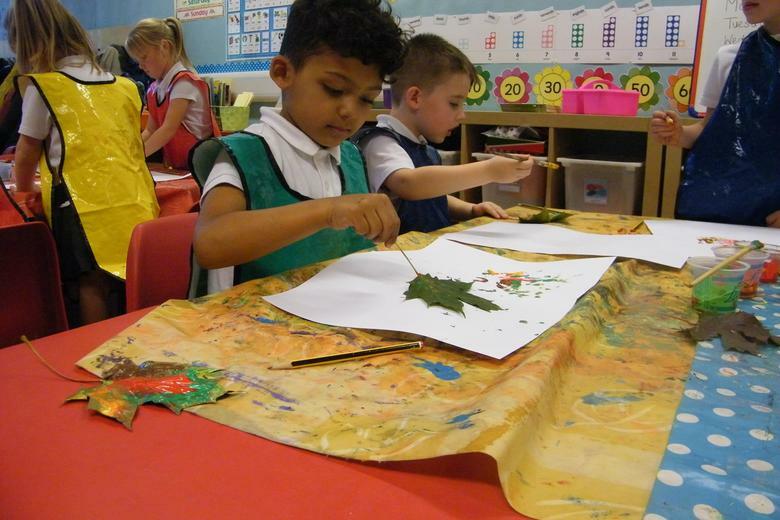 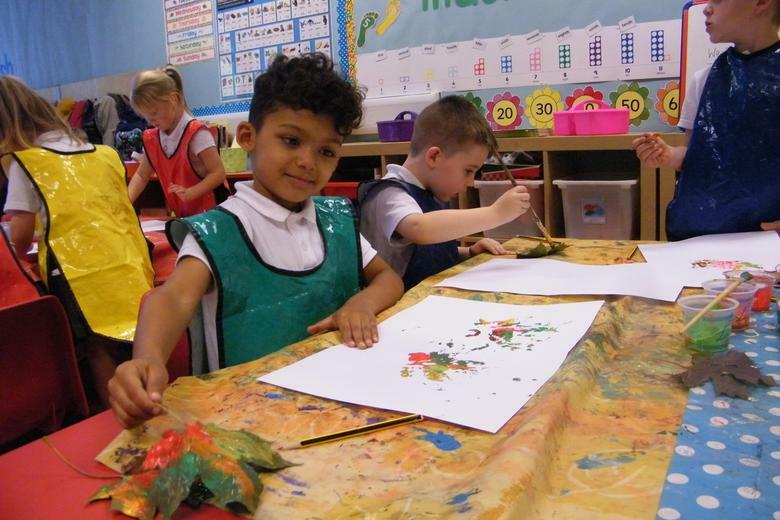 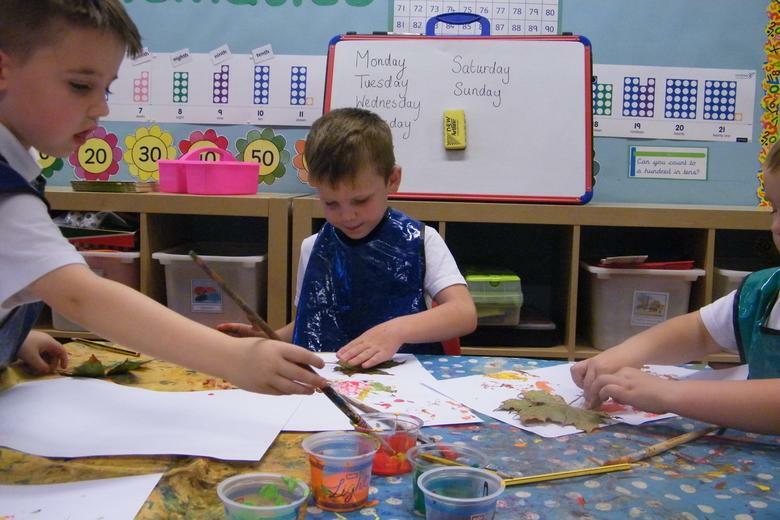 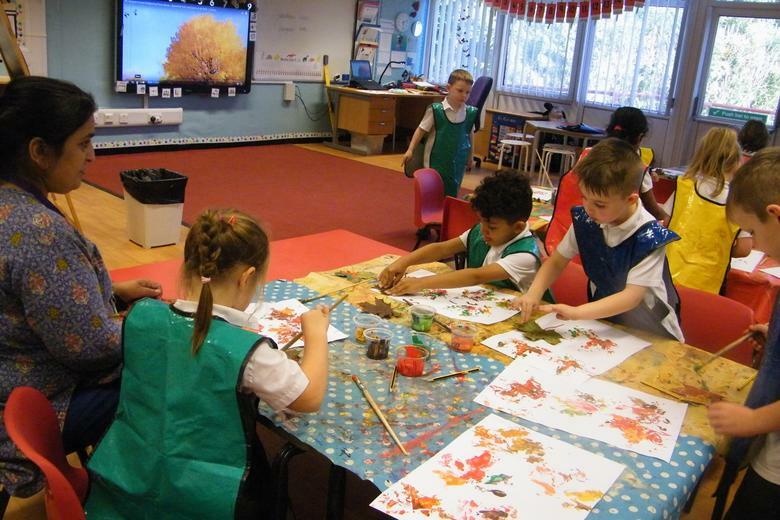 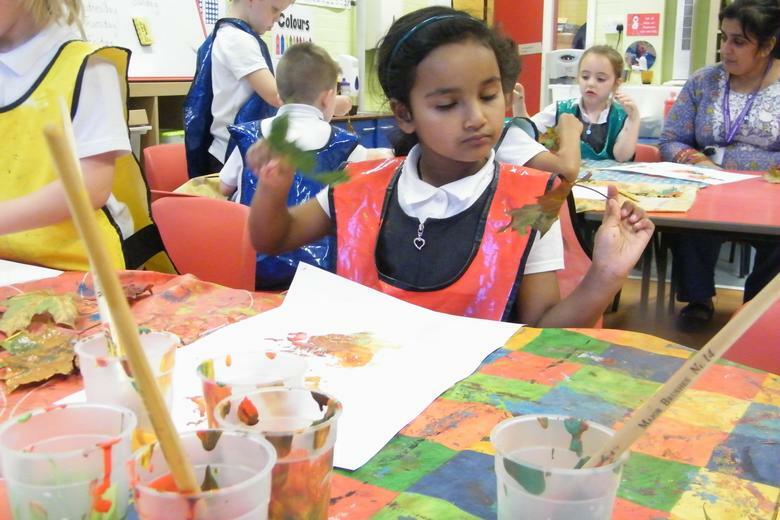 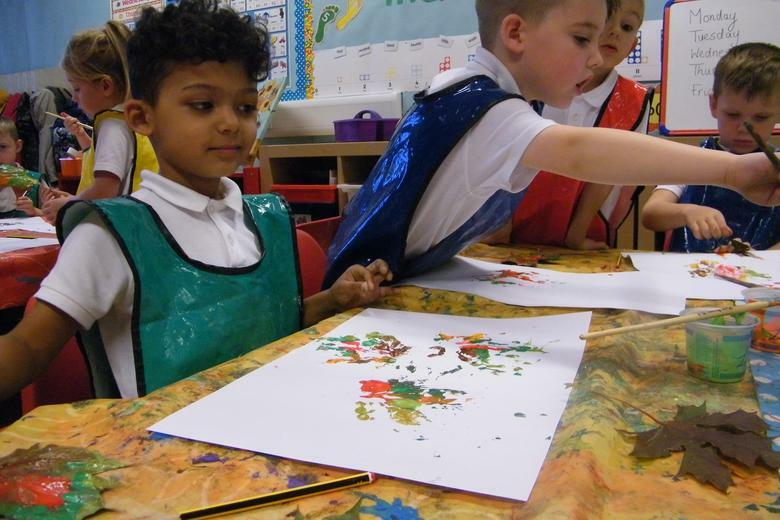 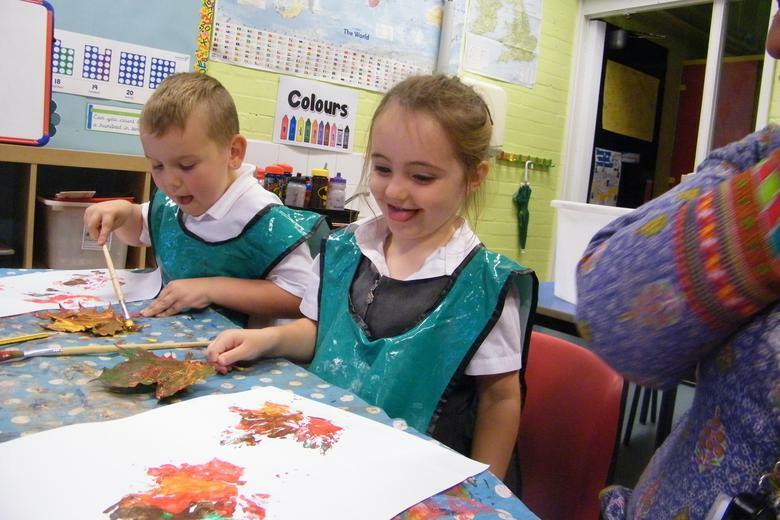 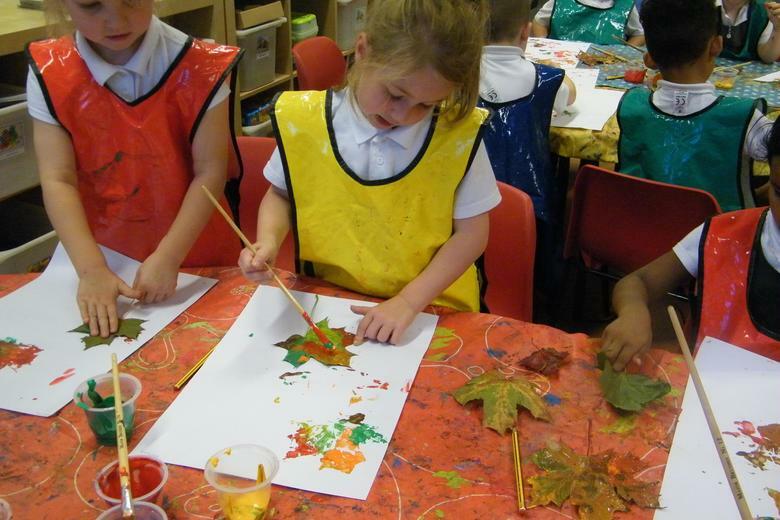 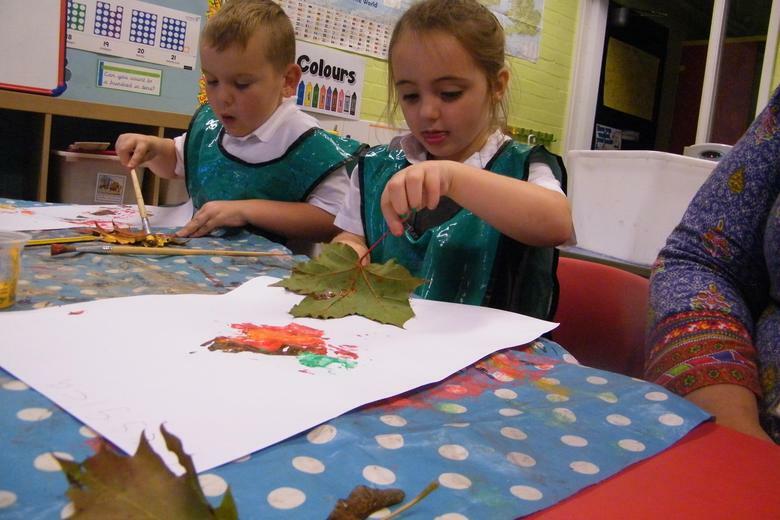 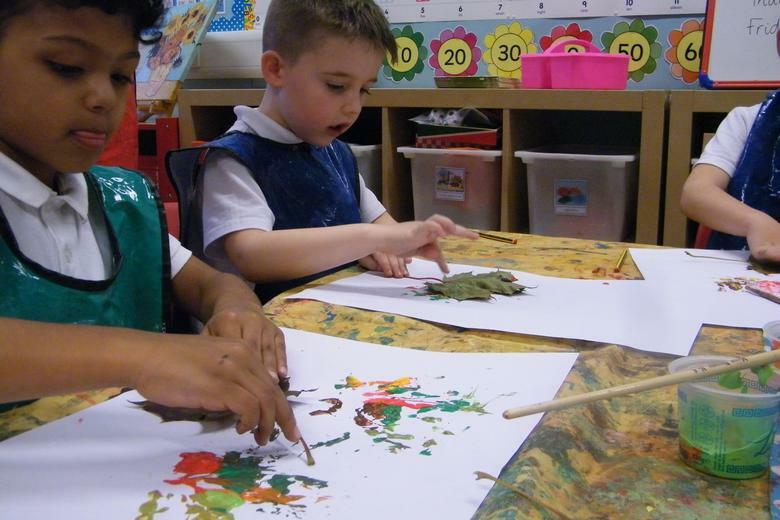 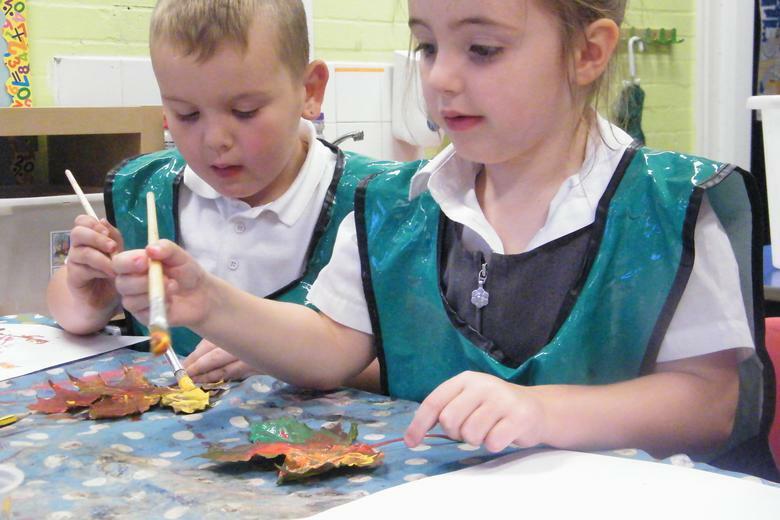 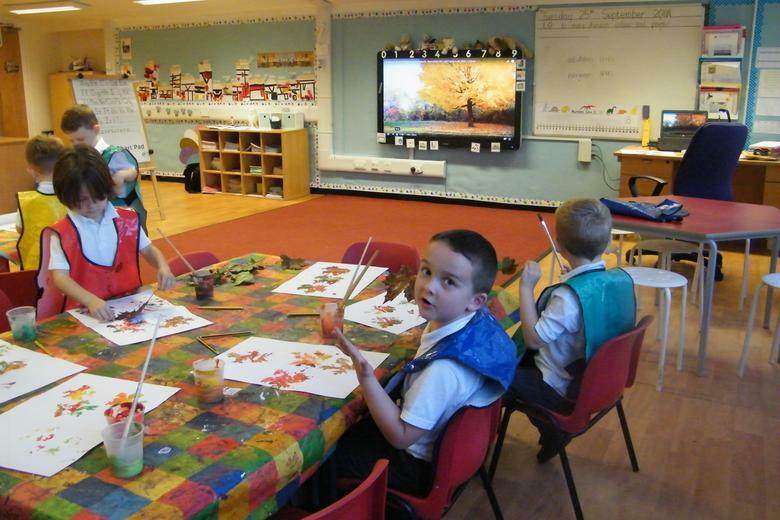 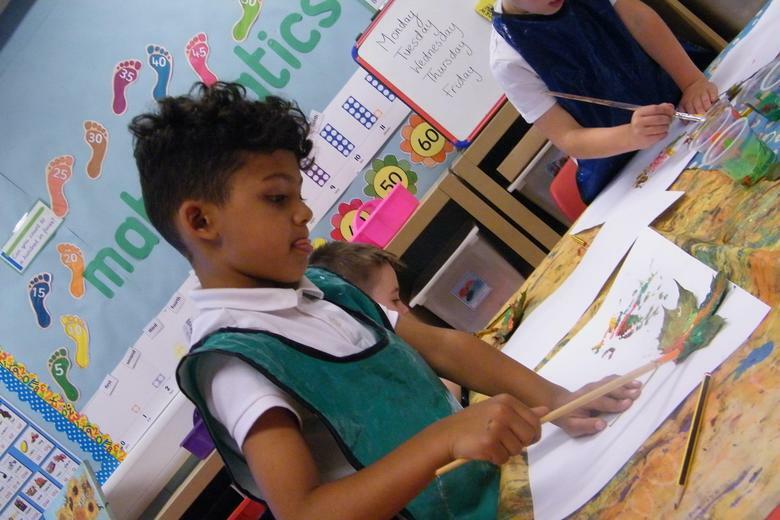 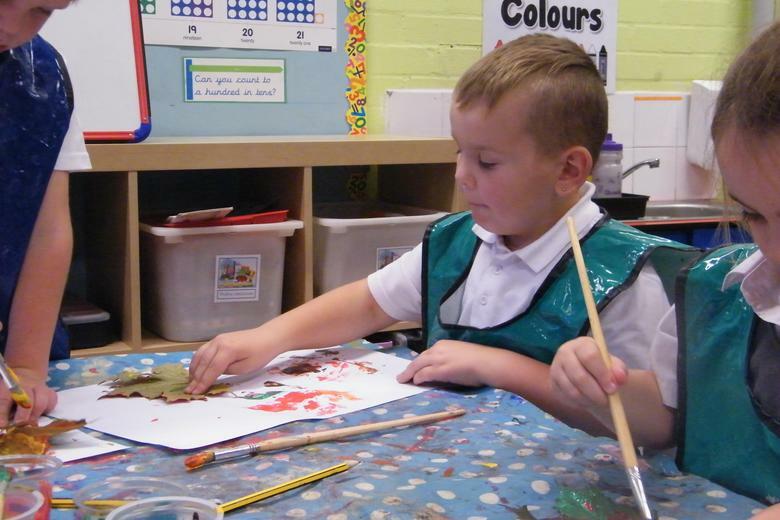 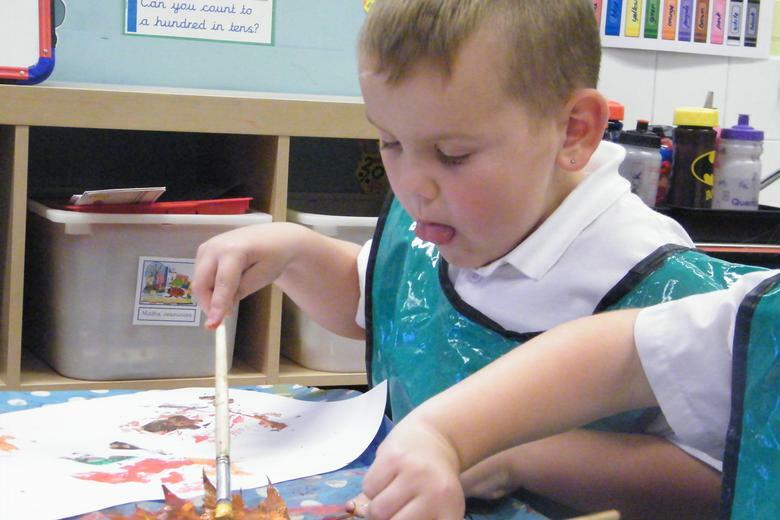 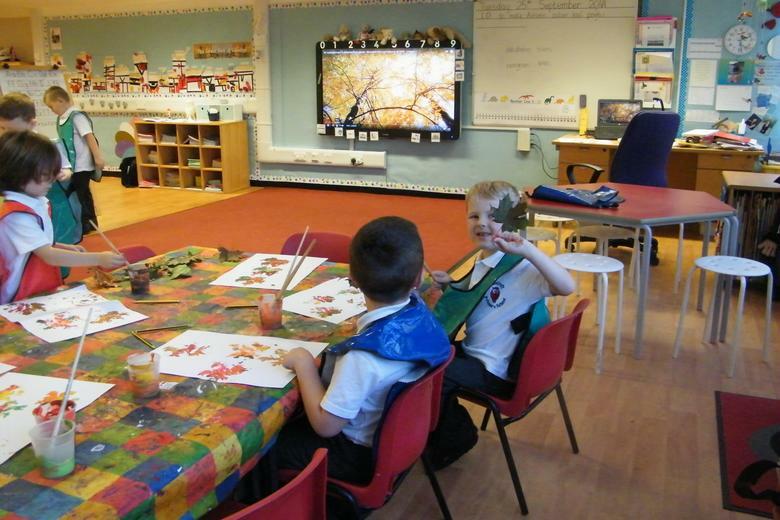 We looked at a painting by John Everett Millais called "Autumn Leaves" and decided to create some Autumn artwork this week. 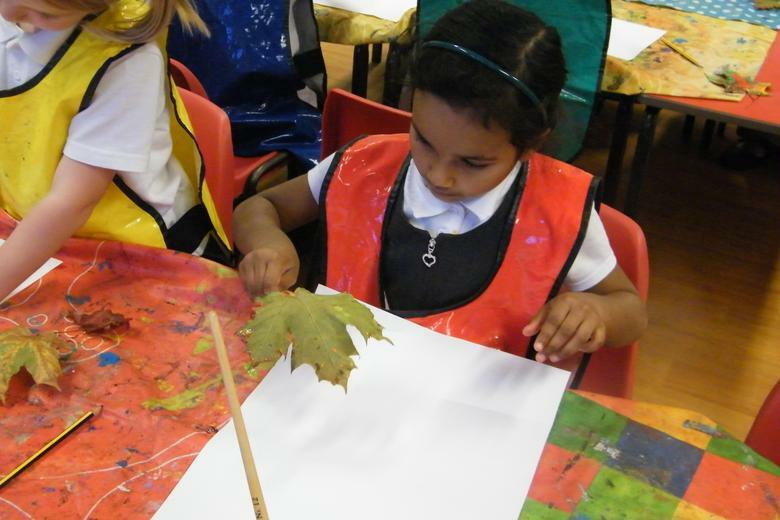 We went outside to collect sycamore leaves from the beautiful trees around school. 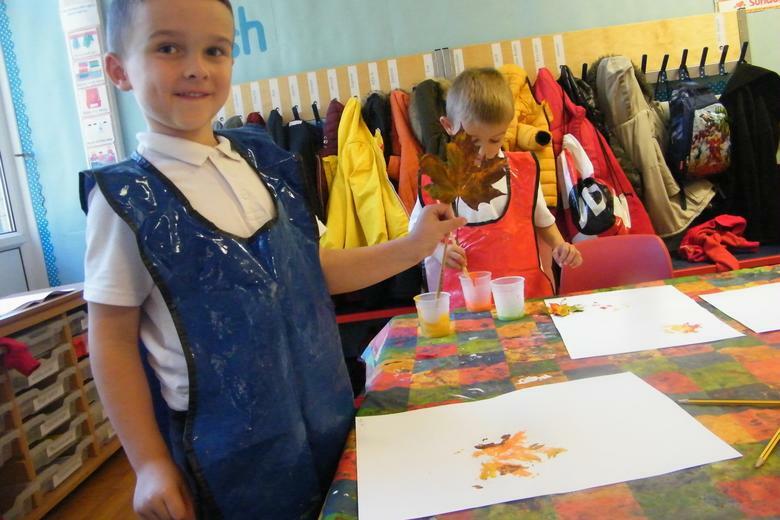 We noticed how the leaves are beginning to change colour for the Autumn season. 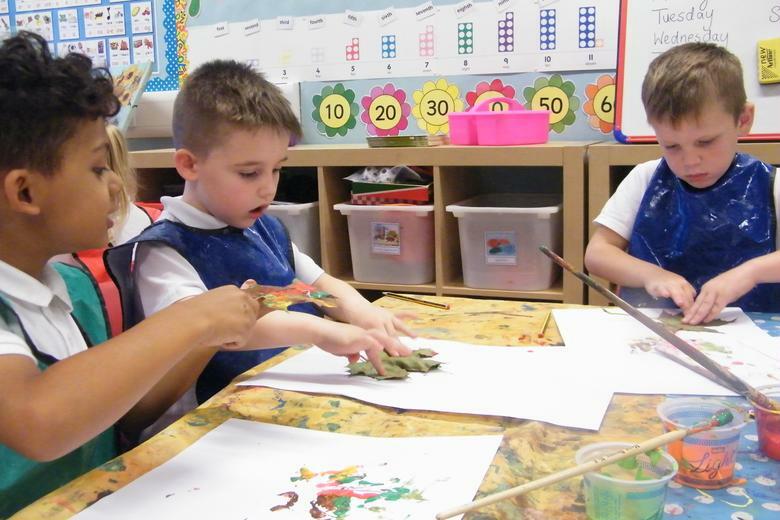 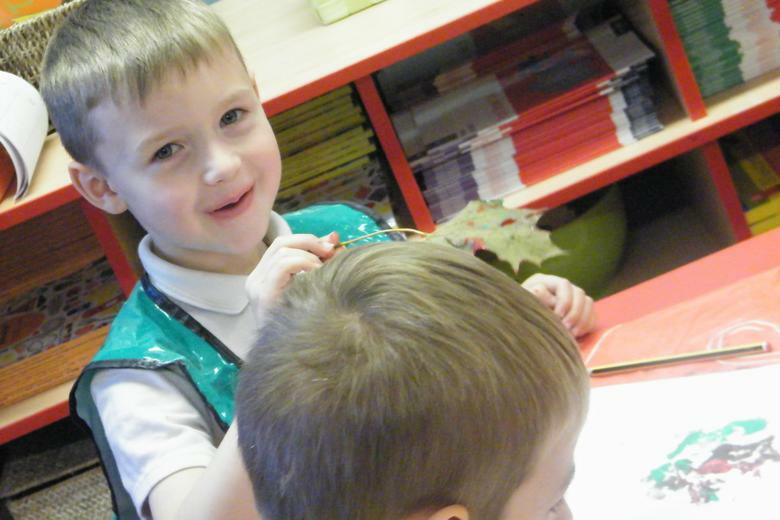 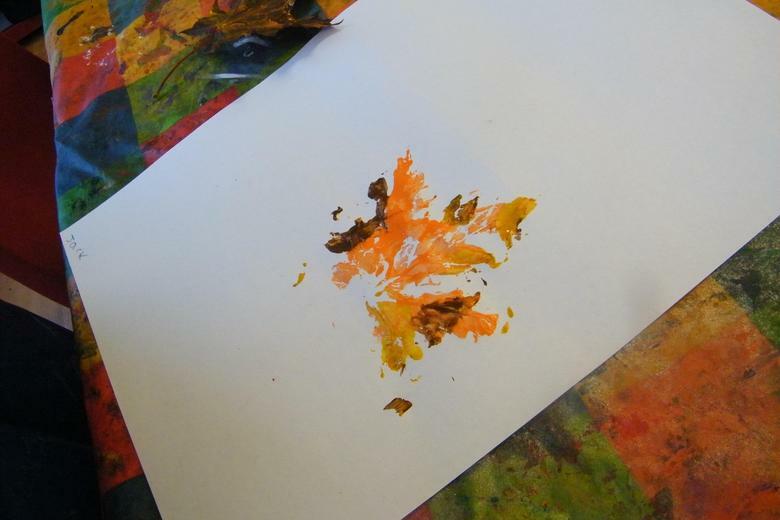 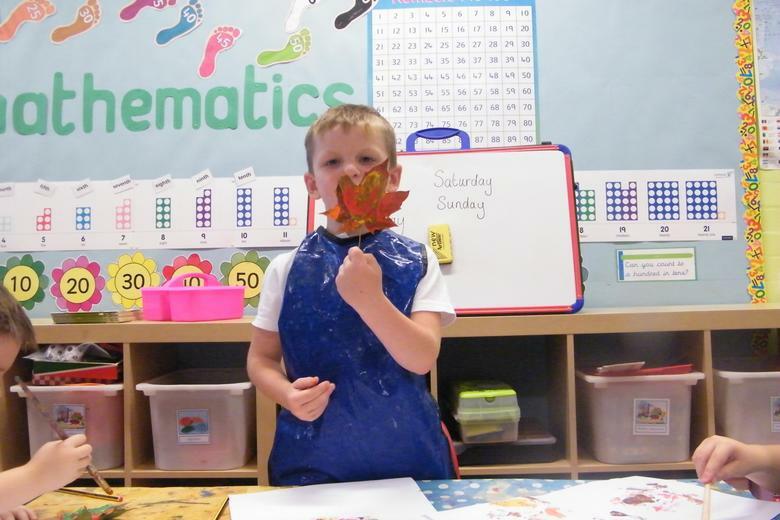 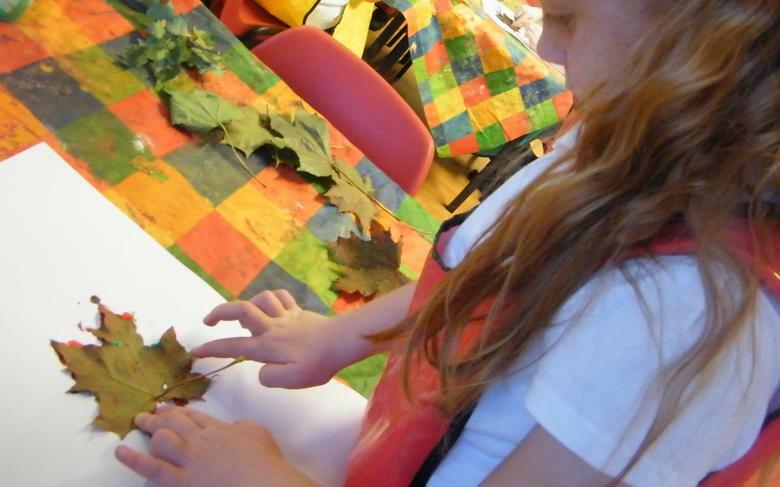 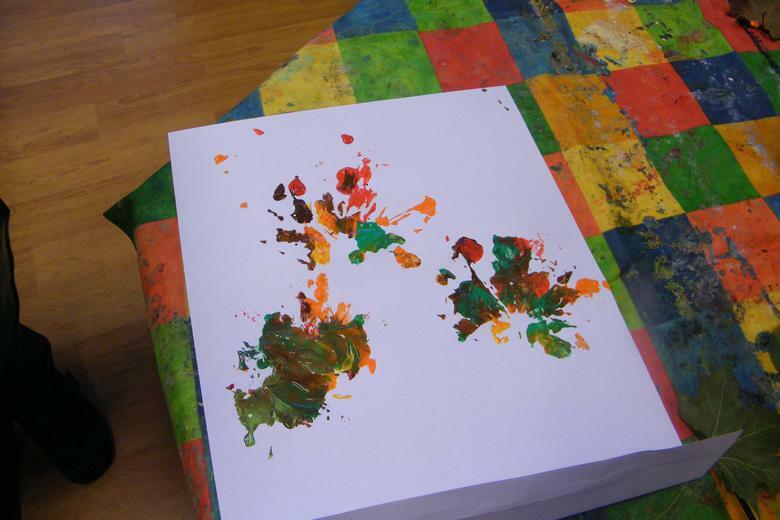 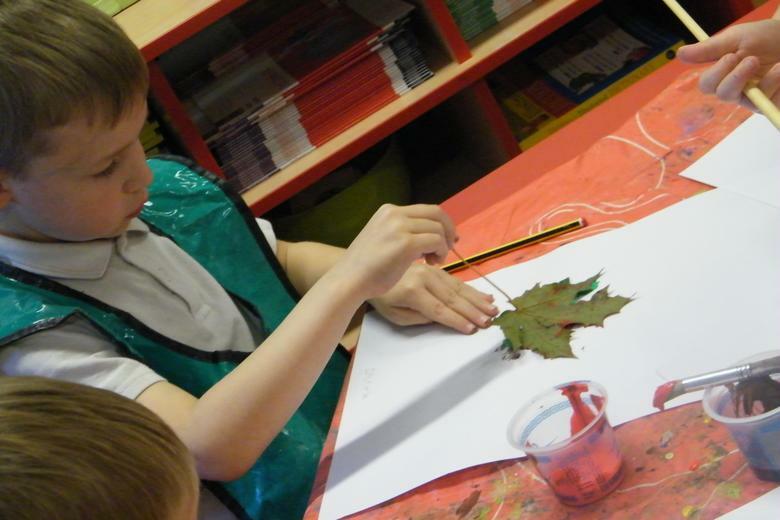 We made leaf prints in Autumn colours using the leaves we collected.